王晓彤, 蔡志明. 混响背景下基于核密度估计的动目标检测[J]. 哈尔滨工程大学学报, 2019, 40(4), 813-819. DOI: 10.11990/jheu.201804106. WANG Xiaotong, CAI Zhiming. Moving target detection in reverberating background based on kernel density estimation[J]. 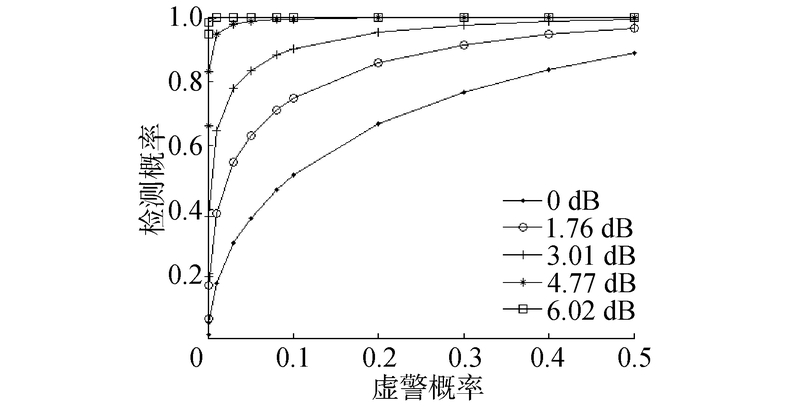 Journal of Harbin Engineering University, 2019, 40(4), 813-819. DOI: 10.11990/jheu.201804106. Abstract: Considering the detection of a moving target in a reverberating background, this study regarded the output of received data after beamforming and matched filtering as a statistical observation space.Based on the statistical characteristic difference of reverberation and target echoes, kernel density estimation was used to build test statistics by multi-ping output, which can achieve echo detection of the moving target.Theoretical calculation was conducted to obtain ROC curves under different signal-reverberation ratio conditions.Compared with single-ping beamforming and matched filtering method, under the condition of ensuring the false alarm probability lower than 0.01 and the detection probability higher than 0.5, the minimum detectable signal-reverberation ratio was 6 dB less than that of the traditional method.Simulations and sea trial results show that the new method performs better than traditional detection using single ping. 毛盾, 刘忠, 程远国. 基于蛙人探测声呐序列图像的水下小目标检测算法[J]. 传感技术学报, 2011, 24(7): 1027-1032. 魏长安, 姜守达, 孙超. 基于核密度估计的前视红外小目标跟踪[J]. 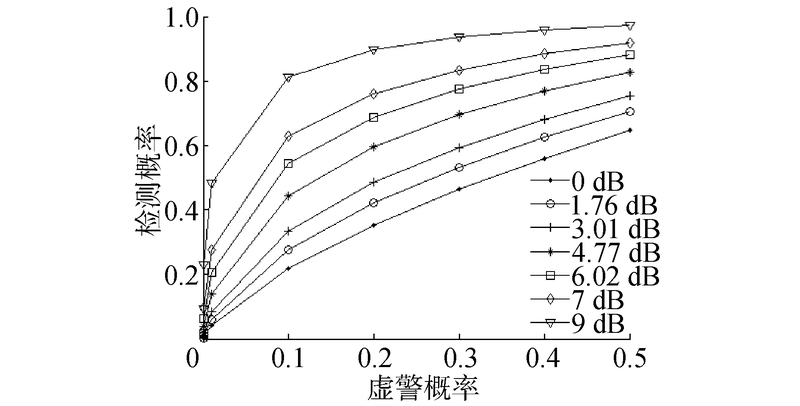 哈尔滨工程大学学报, 2009, 30(7): 763-737. 周恩策, 刘纯平, 张玲燕, 等. 基于时间窗的自适应核密度估计运动检测方法[J]. 通信学报, 2011, 32(3): 106-114, 124. 汪德昭, 尚尔昌. 水声学[M]. 2版. 北京: 科学出版社, 1981. 奥里雪夫斯基B B.海洋混响的统计特性[M].罗耀杰, 译.北京: 科学出版社, 1977: 85-87.